Tuesday – Sunday 10:30am – 5pm (closed Mondays except Bank Holidays) until September. Parking: There is ample parking. Disabled Access: The Visitors Information Centre, shop, café and fields are accessible by wheelchair. The woodland walk is not accessible. The car park is gravelled. Toilets: There are toilets next to the Purple Haze Cafe. Dogs: Dogs on leads are welcome, however they will not be admitted into the Visitor Information Centre, Café or playground areas. 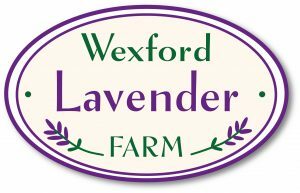 Admission: Tuesday – Friday, the main site is free to visit including the lavender fields, woodland walks and the Visitor Information Centre. EUR2 parking fee during June, July and August, i.e. peak season, payable in cash only in car park. Any donations towards the upkeep of the farm are gratefully received. Take the M11 Arklow bypass exit at Junction 21, follow signs to Inch, pass Londis shop/garage on your right followed by Toss Byrnes pub (also on your right) turn right immediately after the pub, follow this road for 2 km’s to our signs/entrance. Take the Gorey bypass exit junction 22, follow signs to Inch, as you see Toss Byrnes pub (on your left) take sharp left turn before the pub follow this road for 2 km’s to our signs/entrance. From Kilanerin village, turn right at the crossroads by the Church, continue past the GAA pitch to a T junction, turn right, continue for approx 2 km’s until you see our sign/entrance on your right.